Recently, I had the pleasure of answering the following question, sent by an audience member to Dear Veronica – Veronica Belmont’s show on Engadget. I welcome my readers to watch the original video clip here (and embedded at the end). “I’ve got a stash of Most Excellent cufflinks… I’d love some guidelines on when and where I can get away with rockin’ the French Cuffs. Fortunately, since then, I have developed a more nuanced understanding. Sadly, the cuffs are all that survives today from these stylish gents. French cuffs burst onto the sartorial scene in a “life-imitates-art sort of way” when Alexander Dumas published The Three Musketeers in 1844. Pretty soon, every man in Europe was wearing his cuffs rolled back and fastened with a couple of decorative baubles. 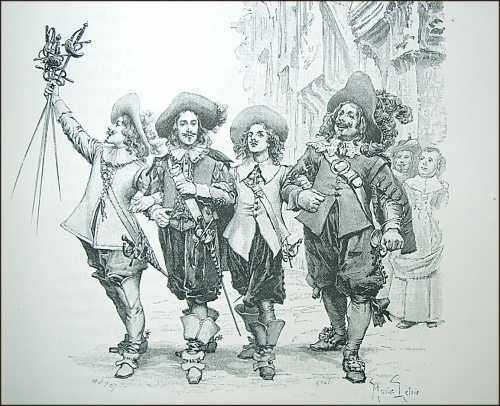 To this day, while we credit the French with their eponymous cuffs, the French called them poignet Mousquetaire — Musketeer Wrists. For the next hundred years, true gents rocked French Cuffs. This culminated with personalities like Sean Connery and Frank Sinatra who brought the look to cinema, fusing stardom and style into a well-dressed masculine ideal. This set the standard for the next generation. Unfortunately for the French Cuff enthusiasts of the world, in the 80s and 90s, many men began to idealize high-powered Wall Street executive types. 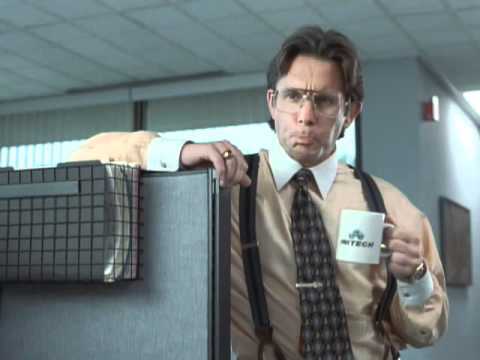 The Wall Street Boss look was bad enough, but scores of imitators created a Bill Lumbergh archetype – middle managers with bad taste and chips on their shoulders. They wore cufflinks, contrast collars, suspenders, lurked around cubicle corners with their power-lingo, and pretty much ruined the French Cuff for everyone else. The last ten years have seen a sartorial revival: ties and jackets have returned to the workplace and the pub, but slimmer, now, combining the formality of menswear with a youthful silhouette. Cufflinks, on the other hand, remain a throw-back accessory, mainly appearing at weddings and in the occasional boardroom. As a result, if you’re under the age of 50 and/or you are not a bank president, cufflinks can easily throw your look off-balance. The movie Office Space (1999) features a hilarious and absurd restaurant wherein employees are given kudos for featuring “flair” on their uniforms (and are reprimanded for any lack thereof). 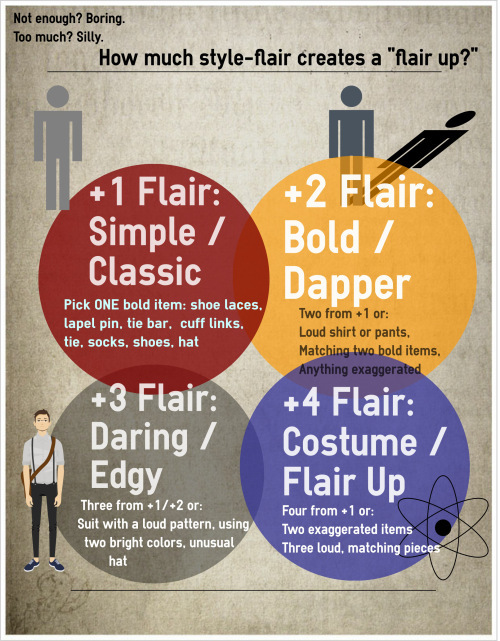 “Flair” refers to buttons, pins, badges – you know. Wearable tchotchkes. 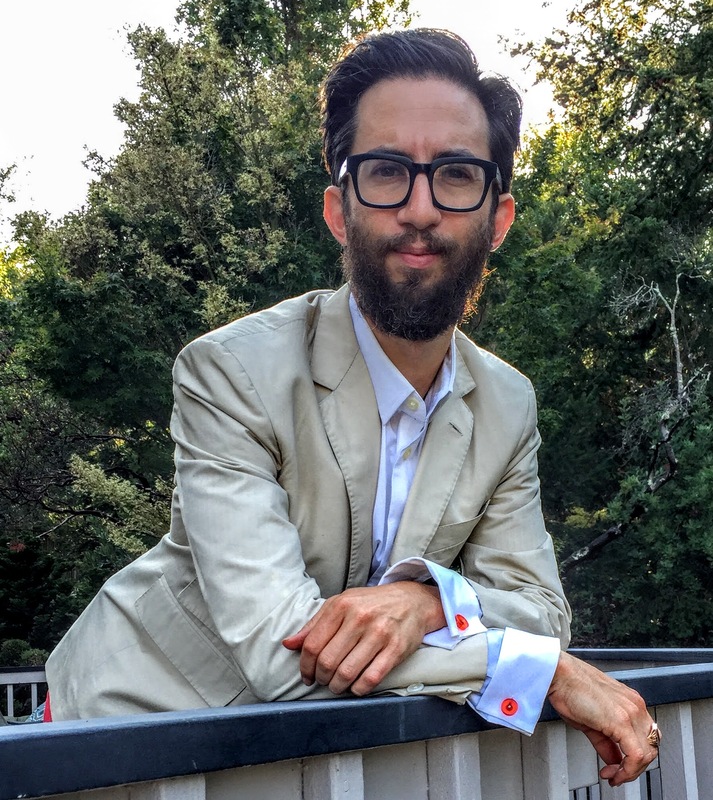 In real-life style, I advise people to think about “flair” as an essential component of style – it’s what transforms a suit and tie (or Tshirt and jeans) from into a fantastic outfit. Certain colors, patterns, materials, accessories – all these add +1 to your flair… until you hit +4, at which point it’s a “flare up.” The outfit incinerates into an ongepotchket mess. Click here for a deeper dive on flair and the dreaded flare-up. 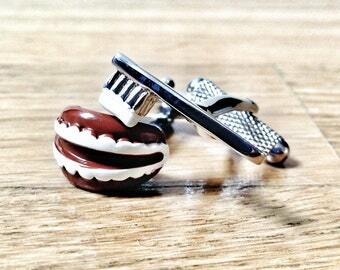 Cufflinks, to put it simply, burn through all your allotted flair points. That means: if you want to wear them, tone everything else waaaaay down. Step 1: Start with the cufflinks. If you’re new with cufflinks, it’s easier to build an outfit around the links you’d like to wear than to put an outfit together and hope you have a pair of links that match. 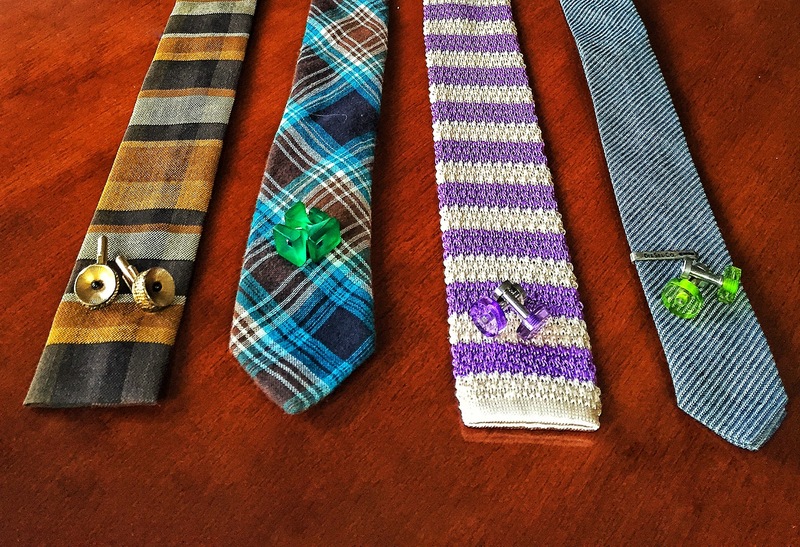 If you’re going to wear a tie, choose one with complementary colors. Pair well-made, understated cufflinks with your tie – in this case, tiger eye cufflinks with a tie featuring brown accents. The white shirt and grey jacket keeps everything else in check. Stick to strong, neutral colors: black, grey, brown, blue. 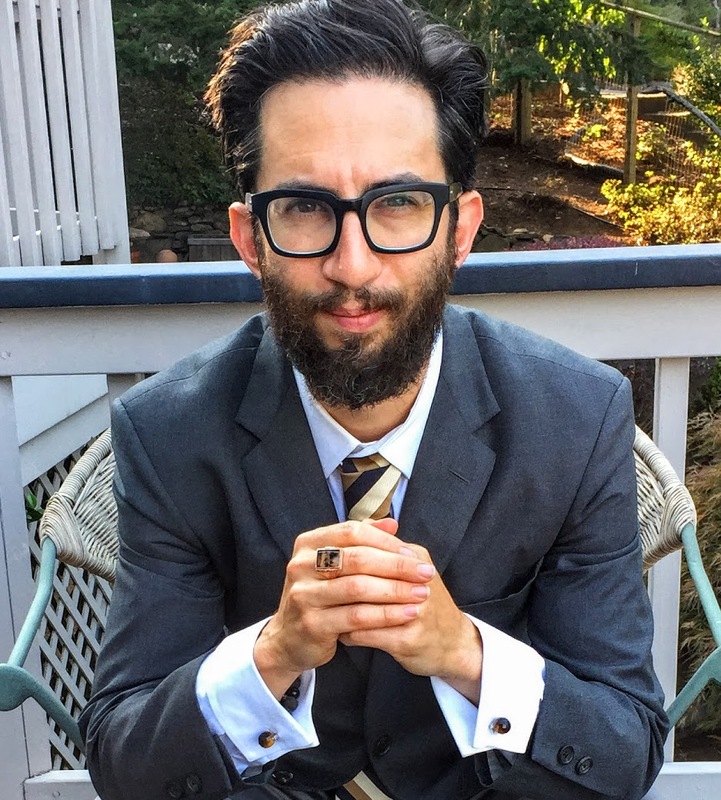 To avoid looking like a stock-broker or a bar-mitzvah boy, lose the tie. Go ultra modern. Pair some minimalist cufflinks (like these grey or red cufflinks from BLOCK) with a neutral blazer and some slim chinos or slim, dark jeans. If you want to step up the flair, wear colored pants to matching the cufflinks (red or blue) but keep the shirt neutral and avoid any other loud accessories. Do stick to clean lines, simple colors, and simple construction. Do match your cufflink color to another color you’re wearing – and match the level of formality to the rest of your outfit. ie Colored acrylic goes with colored chinos. Silver and semi-precious stone goes with dress pants and a blazer. Make sure the rest of your outfit is on point. If your pants, shirt, or shoes are not well fit and well assembled, the cufflinks will actually accentuate the problem. 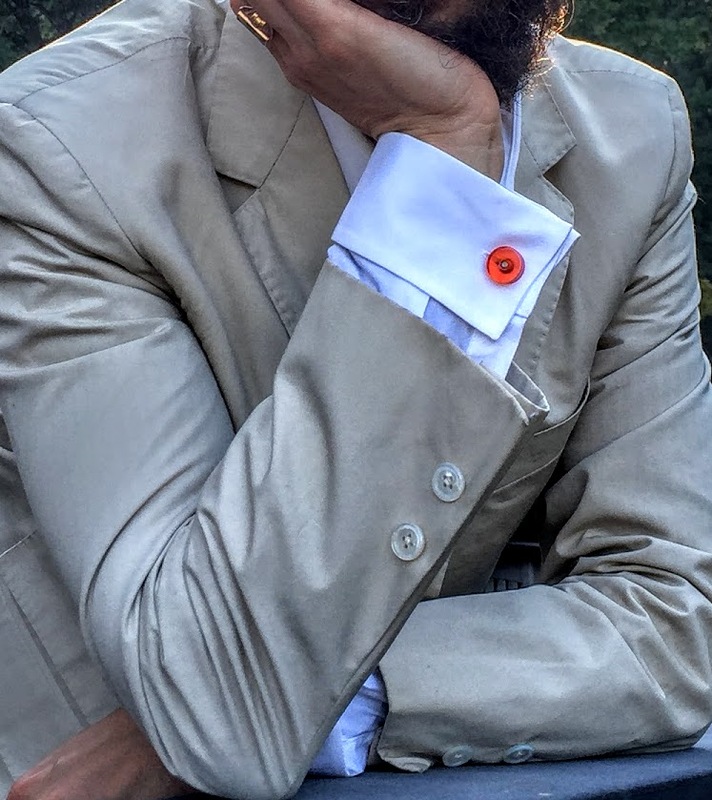 Don’t wear (or give as gifts, for that matter) novelty cufflinks with people’s initials, funny sayings, or tiny metal monopoly-pieces representing your career, hobby, or ironic nerd-passion. 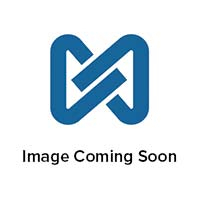 Avoid cufflinks featuring salvaged material: steam punk cufflinks, circuit board cufflinks, typewriter key cufflinks, or anything that, enlarged, would be a desk-toy. All of these are conversation pieces, and you should not be having any conversations about your cufflinks. Keep them understated. Avoid large gold and silver cufflinks which say “mafia boss.” Leave this look to the pros. And leave them alone, while you’re at it. Avoid pairing cufflinks with blingy gold or silver watches or jewelry. If you’re wearing cufflinks, that’s both your flair and your jewelry quota right there. Hi, Someone. I looked at the Sleeve Clips – it’s a cute idea, but to be totally honest with you, I don’t think they add a lot to the look. In fact, they seem a little out-of-place. I think the category confusion (as in “what is THAT?!) out-weighs the aesthetic benefit. Wear a great shirt and a styley tie and you won’t have any need for sleeve clips. Can women wear cufflinks? And can we buy the right kind of shirts?